Human diversity makes tolerance more than a virtue; it makes it a requirement for survival. in 1995 unesco declared the 16th of november as the international day for tolerance - unfortunately tolerance seems to be a quality that at times is in increasingly short supply no matter where we look. one of my all time favorite songs by the cranberries, geez, I miss them, although I have heard dolores is coming out with another solo album, if it's not out already. I've long felt that the cranberries' no need to argue and zombie are wonderful anthems against intolerance. The problem with tolerance is that we insist that people see our point of view before we give it. Your photograph of the squirrel is just wonderful! He seems to be saying, "I have enough to share." Tolerance has limitations, I think...it's not an embrace or a going forward to meet, a curiosity about the other...it is not so much an emotion as an abstraction. I'd vote for something beyond tolerance as allowing a greater connection. The "no need to argue" phrase has a grain in it, I think...that argument is sometimes simply the assertion of the sovereign self, despite whatever highfalutin stuff is attached to it. What happens when we pay attnetion instead of immediately going into defensive mode. Hmmm - thoughts provoked, thank you. I swear you have the fattest squirrels in north America! Amen to tolerance. We may not be able to achieve it but we can go down trying! Now there's a blast from the past - The Cranberries! I never heard this one before. I'd heard "Zombie" and "Linger" and that was about it; I was under the impression that they were a one CD wonder who disappeared from the scene fairly quickly. There's certainly no mistaking Dolores O'Riordan's voice, and I haven't heard it in so long I figured she'd retired from the business. Nice to see and hear thm again, and good to learn she might have a new CD showing up soon. 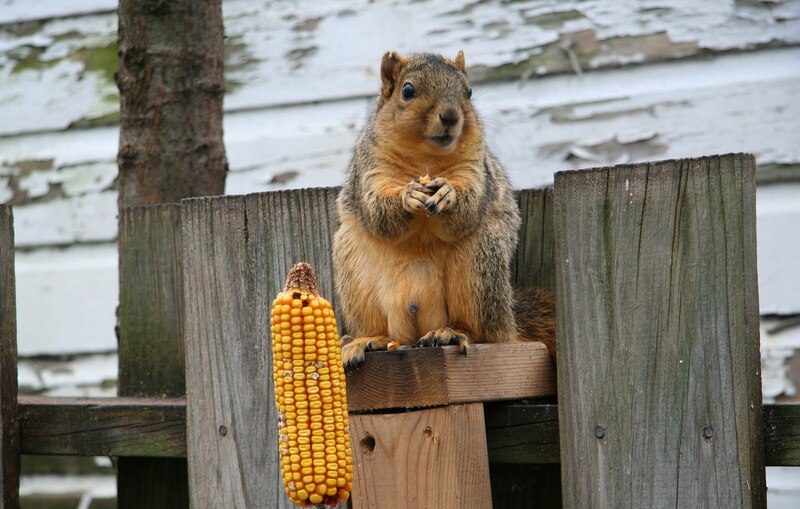 And squirrels are evil thieves who steal food from poor, innocent birdies! bee - he is very generous and does share with the backyard chipmunk, who is way too fast and shy for a portrait, I'm sad to say. as - i see tolerance as a state of mind not really an emotion, a state of mind is abstraction i'd say. i deplore how easy it is to get defense..... more wise words, thank you for further provoking thoughts! baino - and the squirrels at my house are among the fattest, I do like to spoil them! let's go up trying!!! roy - i'm a big fan of the cranberries and have three albums of theirs and i find them all wonders - i don't know how many total albums they have but expect i don't have all they produced. just a quick fly-by. work days getting longer over here even as the daylight shortens over here. good thoughts to you, as always, mouse even though I'll probably not be doing much blog hopping in the coming months, I'll still be dropping by whenever I get a chance. Another thought-provoking post...I make room for all things, even insects. There is more than enough to go around. Thanks for the music of the Cranberries,too. Mai tous vivre en paix! Great great message and song and great great picture! Can tolerance breed intolerance? How can this be? Historically, the indecent minority has only been able to succeed due to the indifference of the decent majority. Understanding other cultures and peoples is a wonderful approach to life, but enabling intolerant cultures (that seek to restrict our own freedoms) is where we must draw the line.